Meet Splat the Cat! 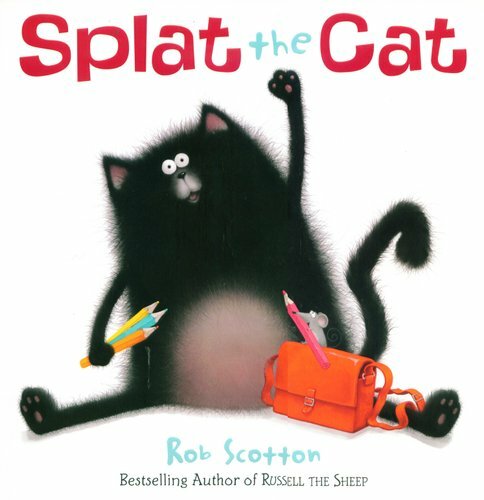 An irresistible new character from Rob Scotton, bestselling creator of Russell the Sheep It's Splat the Cat's first day of school and he's worried. What if he doesn't make any new friends? Just in case, Splat decides to bring along his pet mouse, Seymour, and hides him in his lunch box. 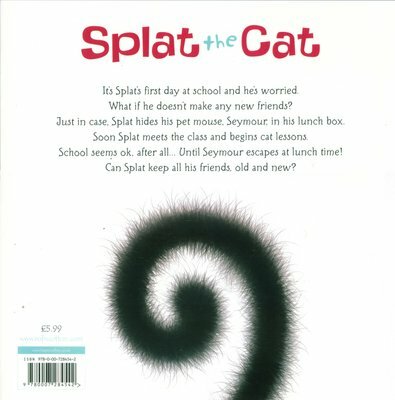 The teacher, Mrs Wimpydimple, introduces Splat to the class and he soon starts learning all his important cat lessons. But when Seymour escapes and the cats do what cats do (they chase mice! ), Splat's worried again. Maybe now he'll lose all his friends, old and new! Just in time, wise Mrs Wimpydimple takes charge and teaches everyone an important new lesson... Maybe Cat School is going to be ok after all! A cute, funny picture book that children everywhere will love.